The Chinese government continues to prosecute human rights lawyers and earlier this week Jiang Tianyong was jailed for two years for "inciting subversion"; his wife Jin Bianling said he was innocent and probably made to confess. 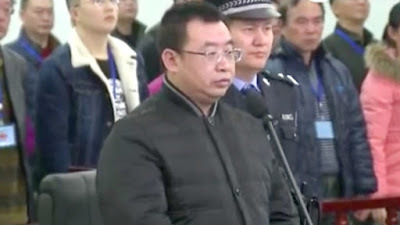 The 46-year-old Jiang was convicted of posting social media messages that attacked government departments, did interviews with overseas media, and attended overseas training courses of a political nature. He pleaded guilty when he first appeared in court in Changsha, the capital of Hunan province in August and asked for leniency. After he was sentenced, he told the court he would not appeal. In his blog, China legal expert Jerome Cohen writes that Jiang was originally a primary school teacher who felt he could do more for his country if he studied law and learned how to defend human rights. 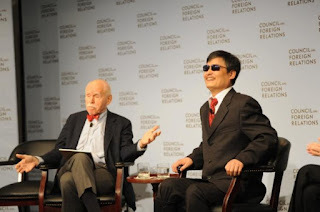 Cohen remembers in 2010 meeting him and fellow human rights lawyer Li Heping with their client, the blind "barefoot lawyer" Chen Guangcheng just hours before Chen was seized by Shandong police who came to Beijing without notifying their local counterparts. Li was prosecuted before Jiang, and served prison time before being "released" as Cohen describes it NRR or "non-release release". He is in accessible and recovering from his horrific experiences in jail. On a sad side note, Li's younger brother Li Chunfu followed in Li Heping's footsteps in also becoming a lawyer. He too was imprisoned, but when he was released suffered from serious mental illness, where Cohen writes, Li Chunfu was forced to take drugs in the guise of medicine for a non-existent illness. Jiang managed to stay out of legal trouble for the most part, respecting his legal minders by informing them of his actions, who would, according to Cohen, advise Jiang if he could attend or not. Cohen describes this as PDD or "pre-detention detention". When Chen was forced to return to his rural home, he was under house arrest. He called Cohen, who was in Beijing, and asked him to persuade a lawyer to travel to his Shandong village that night to prove the confinement was illegal and get him out. "I telephoned Jiang Tianyong, who agreed to book a train ticket," writes Cohen. "He later called me and said the police, having listened to our phone conversation, had forbidden him from making the trip. At least that spared Jiang the beating by village thugs, who, under police guidance, always used violence to prevent outside contact with Chen." 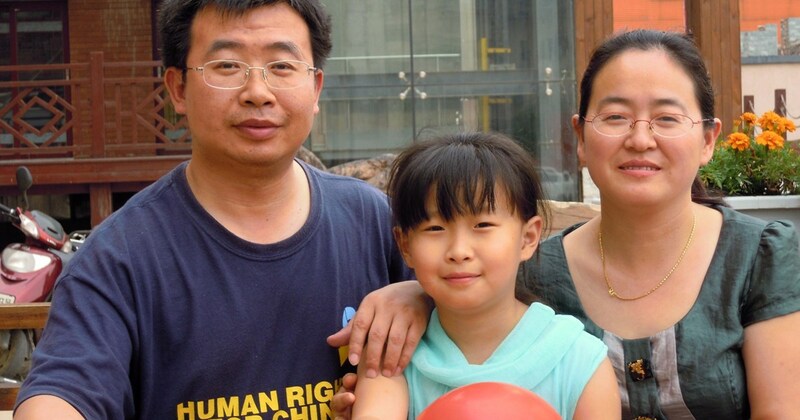 Jiang was detained last year after he tried to visit Xie Yang, one of the some 300 lawyers and advocates who were swept up in a central government crackdown on civil rights two years ago called "709" as the campaign began on July 9, 2015..
His wife Jin had hoped Jiang's guilty plea would lead to his release on bail. She is now in the United States with the couple's daughter, where they fled in 2013. 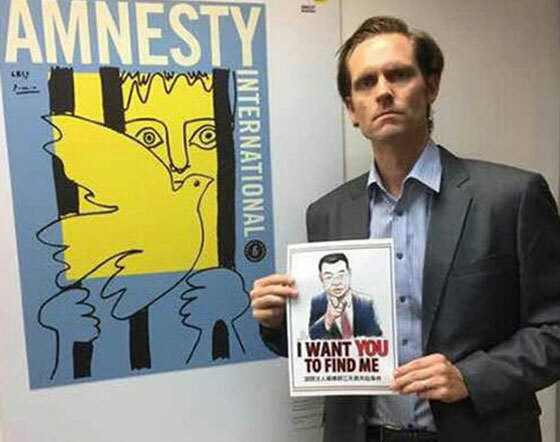 "He was not allowed to leave China but he is there today mostly because he didn't want to leave other human rights lawyers behind in the midst of the 709 crackdown that year." Cohen describes Jiang's "prosecution/persecution" as a "tragic farce" since he was detained a year ago, and Amnesty International China researcher William Nee blasted the Chinese powers that be. "[Jiang's] unjust conviction is a textbook example of the Chinese authorities' systematic persecution of those brave enough to defend human rights in China today," Nee said. "Jiang Tianyong's trial was a total sham," he continues. "Even with the most rudimentary examination of the facts the case against him crumbles. His so-called confession and apology, most likely extracted under duress, were nothing more than an act of political theatre directed by the authorities." We can only hope Jiang has nerves of steel to withstand whatever unjust treatment he faces in the next two years.